September is here! Boy, this year is flying by! Since I have my UFO finished for September, #5 Twister Jack, I am moving on to one of my other UFO's for the year. Pfefferneuse, another pattern from Bonnie Hunter in her String Fling book. 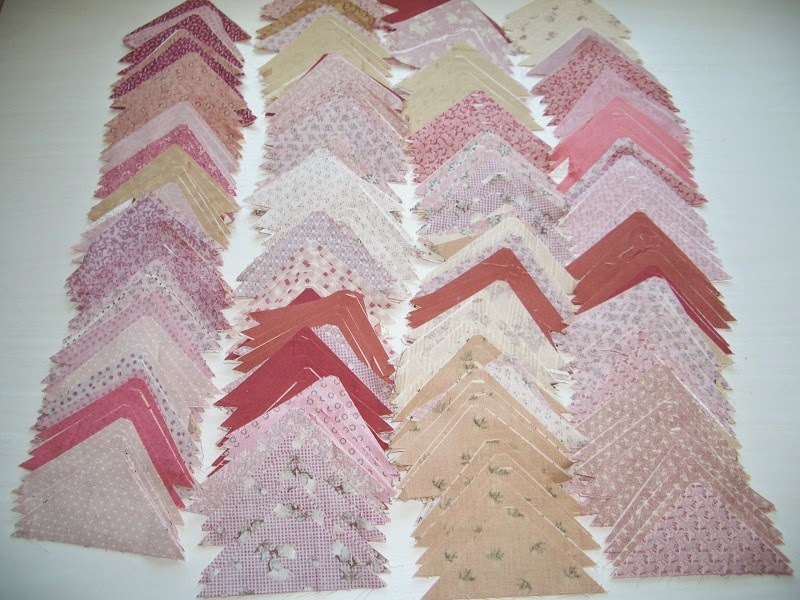 I will be making it in the leftover pink and brown fabrics from my Dear Jane Quilt. 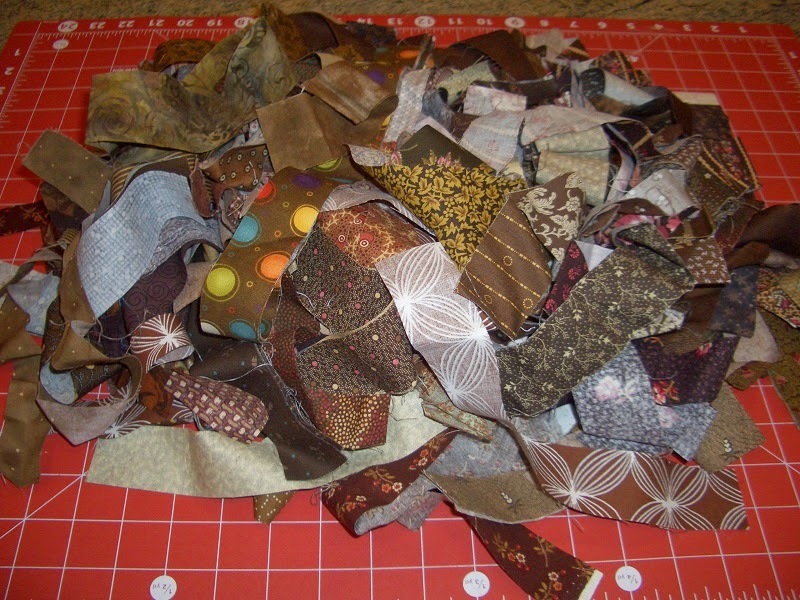 So today I am cutting brown strings for the string blocks and sewing a few together- there are 36 of these. I already have all the neutral string blocks from a swap done awhile back. Just have to trim and cut in half. I have all the pieces cut to put together the hourglass units. This will be a sit and sew, sew, sew! Hope to make good progress this week! This project is sure to be spectacular. Just love the ability our stash provides us... It is good to use your Neutral String Swap blocks! Makes the project faster and the variety from them can't be beat.